Social media marketing prevails the world these days as social media serves as an extremely good promotional tool to elevate your business online. 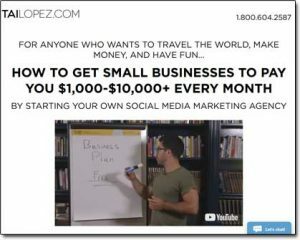 It’s therefore no doubt that Tai Lopez’s Social Media Marketing Agency training program has become fairly popular over the course of a few months. I’ve personally checked it all out and have a good idea of exactly how his training program works. Thankfully this time I didn’t have to spend a lot of time to prepare for this review since I’ve already gone through the course myself, so I hold myself a perfect fit to write an honest Social Media Marketing Agency review. And I know what you’re likely wondering… Is the Social Media Marketing Agency a scam? Well if you are looking to benefit from Tai Lopez’s training program then you must firstly read through this review first to get the right answers to your questions about the legitimacy of this increasingly popular training program. What Exactly Is Tai Lopez’s Social Media Marketing Agency Training Program? The truth is I’m really excited about reviewing this program because at last it’s something which is highly impressive and fact-based (unlike most of the other scammy programs that I often review). Tai Lopez does well in presenting his legitimate offer by pointing out some impressive statistics. There are some impressive statistics about Social Media Marketing Agency Training program from Tai Lopez. And believe me, these statistics shown on the website are completely legitimate. I have verified each of them! There remains no reason to doubt Lopez’s credibility as a social media marketing expert. But can his training really help your business? Can this comprehensive course help lift your business to untouched heights? Is there a chance to help a small business generate anywhere from $1,000 to $10k a month like he claims? Well all the above statistics speak loud and clear of Lopez’s talent. A scam could never come close to such magnificent exposure. 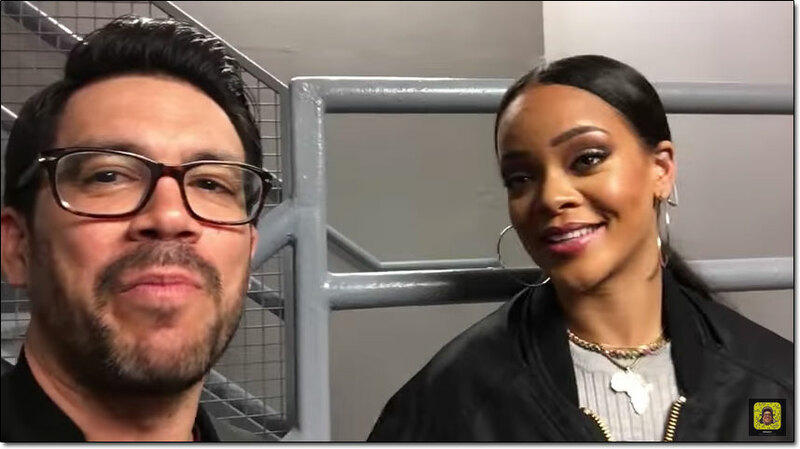 His personal portfolio also talks loud as Lopez has managed to impress various celebrities (as shown below one of his videos even features Rihanna & he has another on his YouTube channel where he is speaking 1 on 1 with the billionaire Mark Cuban). It’s clear to see his talent has been accepted and respected across the high-end community. How Does The Social Media Marketing Agency Program Work? It’s an established fact that Lopez’s Social Media Marketing Agency Training program actually offers a lot. Unlike many of the other programs I review there’s nothing covered by a magician’s sleeve when it comes to Tai’s program. Let’s now have a look at the phases of Lopez’s training program. The training program has been divided into 4 sections, each encompassing a month. During the first month, you’ll be taught and trained about the niche selection. During the training, you can actually test the techniques and knowledge by implementing it on your own business. The second month features the latest updates including social media guides, checklists as well as updated templates. During this phase, Lopez will guide you about the art of mastering this promising marketing practice of the contemporary world. During the third phase, Lopez and his team will teach you secret and working techniques of acquiring customers. He is not talking about ordinary customer, but he promises high-value customers. How does he do that? Lopez is one of those few guys around who have contacts with established businesses. He helps his students with the provision of contacts of the clients who have no issues paying over $1,000/month. This phase also features the training of signing and finalizing the deal. During the last phase, Lopez and his team will teach you how to serve your clients to the best of your capabilities. He’ll teach you to manage and automate the workflow. Social Media Agencies actually look to make things as automated as possible. Lopez’s training will not only walk you through the content but will also let you experiment and test your skills. Once you’ll successfully complete the training, Lopez will award you with Social Media Marketing Certificate. You’ll have to pay $997 for this comprehensive social media marketing training program. In addition, Lopez also offers some bonuses without any additional charges. You’ll get a free ticked to Lopez’s live event. The ticket will be valid for one year and you can use it once. Otherwise, the ticket is priced at $1,400! Priced at $497 but you’ll get it free! 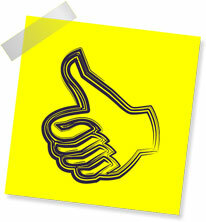 After the completion of your training, Lopez will enlist your name on the website featuring social media experts. This will help your credibility and clients will reach you easily. My Verdict – Is Tai Lopez’s Social Media Marketing Agency Program a Scam? No way! This is a completely legitimate social media marketing agency training program from Tai Lopez. Everything is fact-based and we all know the power of social media marketing. Every business – small or big – is actually looking to go global. Social media marketing is one of the primary considerations to boost sales to unrealistic proportions. I am happy to have reviewed Lopez’s training program. This is something of high value and as far as I’m concerned the claims are 100% true and realistic. I personally know a number of social media experts who are actually earning in excess of $1,000 by serving their client’s businesses. Even smaller retailers are paying up to $500 these days, let alone big companies… So I’ll definitely rate this training program as highly recommended for anybody interested in becoming a social media marketing expert & make money online. So whilst Tai’s program is good & all, if you’re struggling with your budget or if you’d prefer to try something free first then I’d definitely recommend Wealthy Affiliate instead… But otherwise if you have the money & you’re specifically interested in social media marketing then Tai’s program would definitely serve as a good investment in my opinion. 25 Dollar 1 Up Review – Scam or Legit System? Let’s Take a Closer Look!